Oracle Identity Management enables organizations to effectively manage the end-to-end lifecycle of user identities across all enterprise resources, both within and beyond the firewall and into the cloud. The Oracle Identity Management platform delivers scalable solutions for identity governance, access management and directory services. Work for Oracle Identity Management? Learning about Oracle Identity Management? Oracle Identity Management is a complete and integrated, next-generation identity management platform that provides breakthrough scalability; enables organizations to achieve rapid compliance with regulatory mandates; secures sensitive applications and data regardless of whether they are hosted on-premises or in a cloud; and reduces operational costs. Built on an innovative modern architecture that blends extreme scalability with rich user experience, Oracle Identity Management offers a best-in-class suite of identity management solutions that allow organizations to simplify identity life cycle management and secure access from any device for all enterprise resources ¿ both within and beyond the firewall. the users only manage a password to access the different integrated applications. This feature increases the risk that if a robust authentication scheme is not used as a coordinate card, these keys can easily be compromised. Flexibility is not strong point, integration with other solution is not so easy. Certificate management for SSL/TLS configuration could improve, not so easy. Community not so dynamic. Top Access Solution for Businesses. It can be tricky to understand some of the tools,and the interface might be a bit off,but a little practice should quickly resolve that issue. Getting the pro version can be a but pricey especially if you are a small business, but i think it is definitely worth the investment; OIM does make it a little cumbersome having to navigate through many screens and does not offer a single pane of glass approach. Great with other modules of Oracle; If you are looking for a easy and fast program to have your data based of customers aligned, this is the best one i could recommend; It's good for on-premise. But there are competitors like SailPoint which is really hot in market these days. "Good features but very hard to maintain and operate over time"
Provisioning capabilities overall are good. Workflow and workflow management is good. Meets all basic security requirements for provisioning process automation. The system is extensible and configurable. The system is architecturally monolithic (not microservices) so updates/upgrades are very complex, brittle and difficult to get done in any sort of short time frame. Additionally the system is hard to tune to achieve necessary performance at large scale. It is possible, but it isn't easy. Access provisioning automation (doing it manually is high cost and slow response time). So we have achieved some overall cost savings and improved workforce user experience by automating some access in the environment. It’s easily accessible. The program itself is easy to navigate. I’ve had great success in using it for my classes. "OIM review in a support admin role"
OIM is a powerful tool that automates much of the "access" process. Tons of way to customize this for your own team group or company. Once something was in OIM, my support team couldn't touch it, resulting in disgruntled employees and clients trying to get access or make new access for security groups or applications. Automated- places the power in the hands of the users instead of us doing every step for them. Usually faster approvals. Manual approvals are typically not allowed so run into issues there. Allows you to manage the lifecycle of a user and the resources and responsibilities they have access to. You can also manage how you login into these areas easily. OIM does make it a little cumbersome having to navigate through many screens and does not offer a single pane of glass approach. Brand name so you know the product is stable and well put together. Manage the lifecycle of a user and the resources and responsibilities they have access to. This software makes it really easy for you to submit expense reports because it allows you to itemize them and attach pictures of the receipts for reimbursement. Sometimes the software doesn’t always recognize your company password and you have to reset it just to be able to login. We are making it easier to reimburse teammates for their time spent traveling out of their way for attending trainings and meetings. 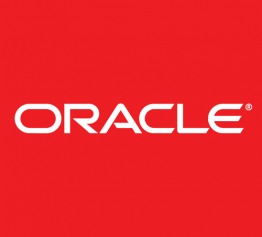 Oracle was a great software to use in our company. It made it easy to manage multiple clients and was intuitive so that it was easy for new agents to learn. Oracle could be a bit congested at times, especially when having to siphon through a multitude of tabs. "Best commercial solution for Identity and Access Management"
Complete and trusted solution for Identity and Access Management. I'm particularly expert in Oracle Unified Directory, I' involved in design some important solutions for big customer using this technology. Best thing is good fit and integration with all other Oracle products and with most famous other vendor utility as well. In respect of other free solutions you can also count in Oracl support. Non so fast in add features and correct bugs if you request for it. We managed to build a camplete solution using Oracle Unified DIrectory for managing Identity and Access Managemetn for both application, Databases (sinf Enterprise User Security) and Operating System. "By Far one of the greatest!" This software is actually one of the greatest, helps a lot when you need to keep a log of the clients and customers. Since we used it with one server and multiple computers, waiting time was a bit of a hassle but we were able to manage! If you are looking for a easy and fast program to have your data based of customers aligned, this is the best one i could recommend. We used it for a cellphone company, looking for information with the customers and making sure there request are met. It is user-friendly and easy to navigate. On my homepage there are simply 4 categories that make reporting my hours and locating my employee info easily. I have yet to experience any difficulties. I am happy with the platform. Zero problems. Oracle has made it easy to report my hours and located my employee information. I like that it is easy to use, i have a number of different i.t system for business solution an oracle is definitely top ranked for me. We have used in my previous workplace to help management tram better to figure out certain areas to reduce operational cost, its also a good tool for data analysis. will recommend to any business, once u understand how to use it, very useful. Oracle Identity management software is developed on an innovative architectural structure. It offers of of the best solutions in terms of Identity Management.. I feel that it lacks a little bit in terms of the security, Only one password for the entire access is a bit tricky. I think these guys are in the right direction. I did not face any particular problem. The only benefit I see is the workload it can manage at one point of time. "OIM - great for user access"
The application is easy to use. With the idea of choosing what you need and adding the access you need to a cart really works! This is the first time we are implementing OIM into our system. However, it didn't take a look of time to navigate and learn how to use the application. Though it is different from what application we used to use, this is actually better works faster. The approval process is more visible. The interface is not the best. Maybe because I'm used to using another application prior to this. User access request - the ease of having one stop shop for access for other applications. No need to use multiple applications to request for access. Well defined architecture underpinned by a scalable LDAP directory. The solution is usable as a basic platform but can be extended through additional customisation and extensions. The other benefits is the ease with which it integrates with the other suite components (SSO and Access Manager) to provide a comprehensive Identity Management Suite. While the interface is improving, the customisation and branding of the interface is complex and could be better documented. The documents from Oracle support are written with a high level of assumed knowledge of the product and a very good understanding of Weblogic (on which the product is deployed), Also there is a distinct lack of expertise in Australia meaning that trained and competent implementers are hard to find. There needs to be some improved 'wizards' for basic setup of some functionality (e.g. AD integration) that is quite procedural at best. An improving product that is definitely one to watch. Engage a Oracle IDM specialist to help in implementation as you will waste valuable time otherwise. The solution is being improved to better co-exist and socialise with other Oracle applications and can be hosted on quite small servers so can be used in small environments. The management of identity information for a range of business partners and clients to provide a single 'trusted' source of identity information across multiple platforms. The extensibility of the product was leveraged to successfully integrate the solution into a bespoke environment through the API and Web Services. Easy to use and alot of information online. "This is great product for identity governance"
It's good for on-premise. But there are competitors like SailPoint which is really hot in market these days. Theres no clear "get started" tutorials for those who have never used it before but fortunately it's not hard to figure out. I love how customizable the software is. Sometimes there are too many options and it's challenging to find what you need. We are able to synchronize data across many teams and limit access just to what they need which helps with our audit requirements. It was easy to train and test multiple objectives in a secure program. The mobile interface is a little difficult to navigate. Keeping track of who has completed what modules and what they need help with has gone much smother than in the past. "Great product confusing to use"
I don’t like that it’s not easy to use, it can get confusing as to where to upload stuff. "Oracle Identity Management suite Review"
Needs a lot of knowledge to make change propperly. Have a better control of changes on my network. "Great services to be used "
"Most of the time really simple"
I had experiences where my login would work. Also it can be Bit slow. We are able to log In to our professional platform in a secure way. Broad spectrum across entire stack and can cater to a large spectrum of use cases. Cloud based governance and provisioning. La poca comunicación con los compis. Seamless IDs across different software. Often unable to login, system failure or kicked off the program. * We monitor all Oracle Identity Management reviews to prevent fraudulent reviews and keep review quality high. We do not post reviews by company employees or direct competitors. Validated reviews require the user to submit a screenshot of the product containing their user ID, in order to verify a user is an actual user of the product. Hi there! 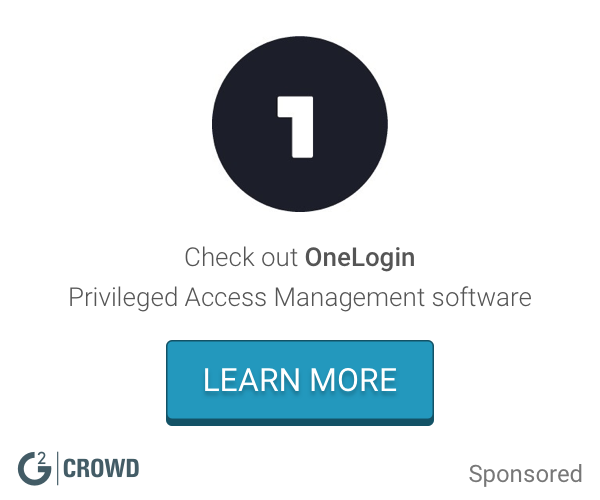 Are you looking to implement a solution like Oracle Identity Management?